H. Upmann Vintage cigars echo the singular quality and flavor of the old Havana cigars. 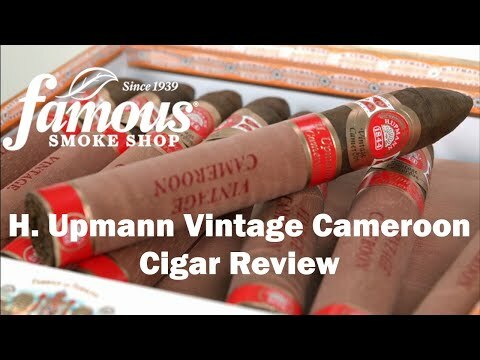 For over 150 years H. Upmann cigars have been highly respected among cigar connoisseurs and their Vintage Cameroon selection is absolutely outstanding, having received Cigar Insider scores as high as 90 and 92! This is a full-flavored blend of Dominican, Nicaraguan and Peruvian tobaccos precisely rolled into Grade-1 African Cameroon wrappers for a well-balanced, luxurious smoke with a wonderful aroma.